Celebrate the anniversary of your wedding with a fun or elegant date. This is a guide about planning a wedding anniversary date. For all of you creative (and romantic) thinkers out there, I could use some ideas for planning an Anniversary date for my husband. We have been married 11 years and have two very young children. I need to stay within $50. It does not have to be an extremely romantic date since we are not really into all of the "violins and roses" kind of dates, but I want him to feel special and want it to be fun. Thanks! I think you could work around the number 11. Have eleven special little cards where he is able to pick 9 no peeking and receive whatever is on your card. What is on the card need not cost a cent to be special. If you drink wine, paste a pretty handmade label on the bottle with Happy 11th Anniversary written on it. As it is your anniversary too, order food in that you both enjoy and finish off with a tiny Happy 11th Anniversary cake. Do indulge in two pretty candles to put on the table as it will set the mood for a beautiful evening. Happy Anniversary! If possible, arrange to have an entire evening (and the next morning) without children. I surprised my husband with a hotel downtown on our last anniversary and I let him decide how to spend the evening from there. He loved getting his wife for an evening alone. Even if your budget doesn't allow a hotel, you can make him the center of attention for the night and he won't care how much (or little) you spent. Congratulations on eleven years! If you are thinking of the hotel idea use a site like www.hotwire.com. I would opt for the 4 star hotel, you will probably get the most bang and luxury for your buck. They will not reveal the hotel until you book, but the rates are amazing. I can usually get a beautiful 4 star hotel for under $70 (ie The Westin Hotel that I have booked, photo attached). Another thing to watch for is it if says "things you need to know before you go", if you pick a downtown hotel, there may be a parking fee. You could consider a popular suburb. Also when you get to the hotel ALWAYS ask for an upgrade to a King size bed. If they have one they WILL give it to you. 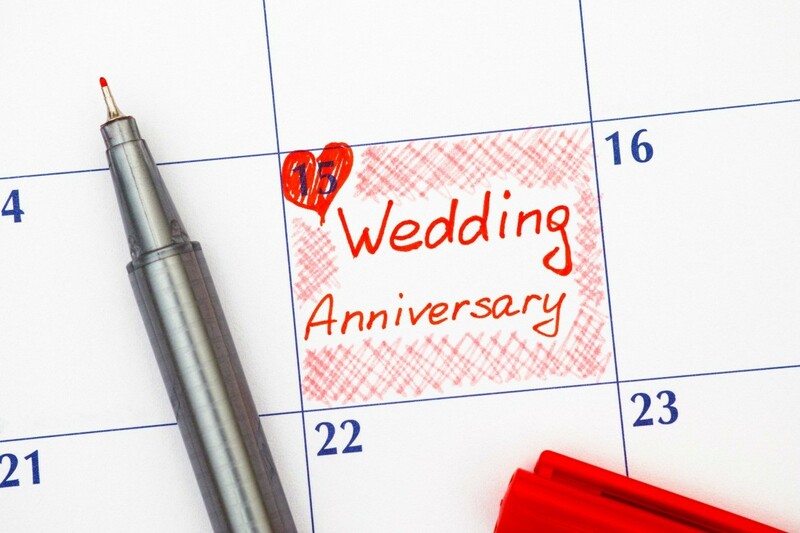 Wedding anniversaries are a way to celebrate your love year after year. Whether you are planning a big party or a small intimate dinner, this guide has ideas about celebrating your wedding anniversary.